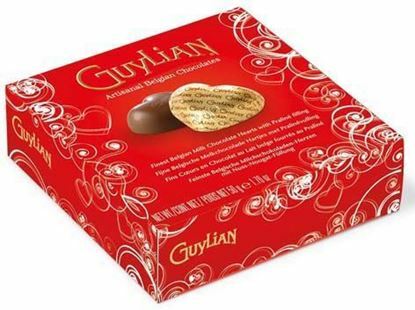 Guylian Belgian chocolate box with chocolate hearts- 4 pcs. 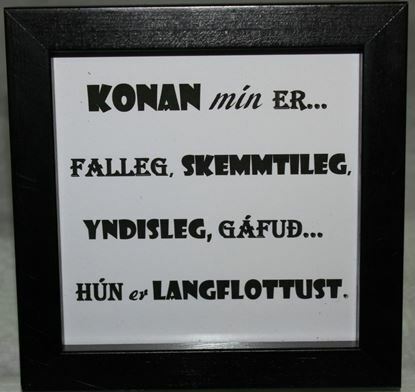 Beautiful quotes in picture frames-My wife is beautiful, funny, sweet, smart and she is just amazing. size of the frame is 12*12 cm, the color choice is white or black frame. Gorgeous single romantic long stemmed rose with greenery-choose color! Romantic single rose with lash greenery. Love is sometimes simple but it is always exquisitely beautiful. What could be simpler and more exquisite than arranging a single rose delivery for a person who has a piece of your heart? 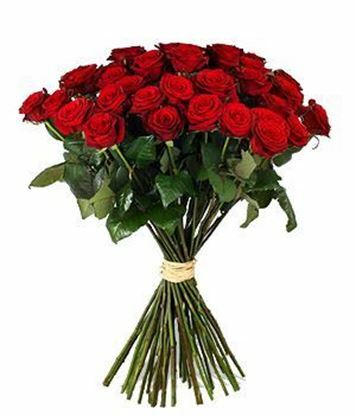 Online rose delivery at the touch of a button will convey an unchanging love that does not wither away. 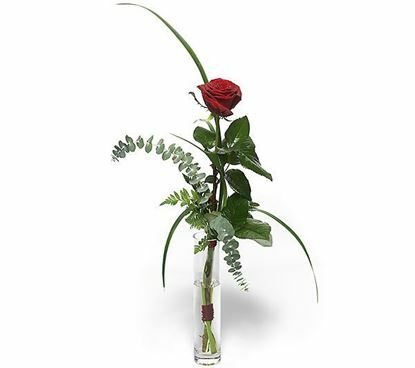 This premium single rose is lovingly and tastefully arranged with eucalyptus, fern and grass. 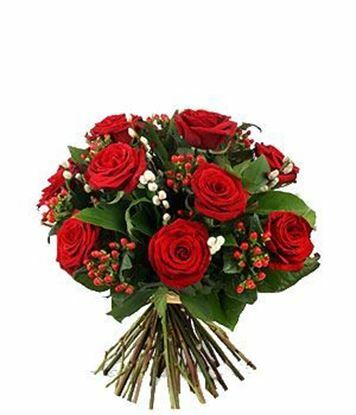 Romantic icelandic red rose bouquet with hypericum berries and greenery. Contemporary rose arrangement in a vase with an accent of branches. Express your affection! Surprise and excite the one you love .Send these velvety red roses arrangement in a black vase to your special someone, and we bet they'll think you're pretty special too! Accented with vibrant willow branches for a modern, marvellous look. The perfect gift for "her" or "him", anniversary, Valentine, Day of Women... or to say Happy Birthday! 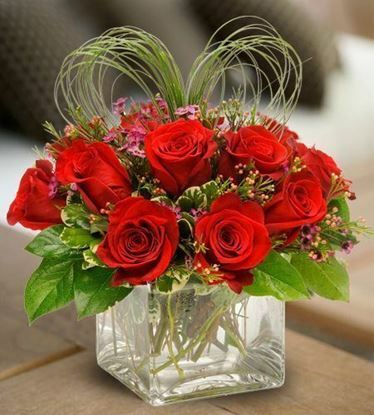 Romantic red roses arrangement in a container with a twist of a heart. 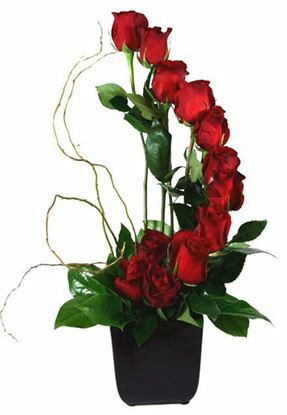 Romantic red roses arrangement in a container with a twist of a little heart will make any woman's heart melted. At the moment only available in white square vase. 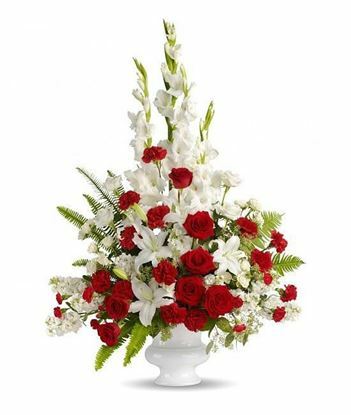 Romantic Grand bouquet featuring red roses, baby´s breath and more. Express your affection! Surprise and excite the one you love with this breathtaking flower bouquet. This unforgettable bouquet is almost guaranteed to leave her or him speechless. Roses delivery says ‘I love you’ more eloquently than any words can. The perfect gift for "her" or "him", anniversary, Valentine, Day of Women... or to say congratulations. Short stemmed roses in size 35-40 cm. 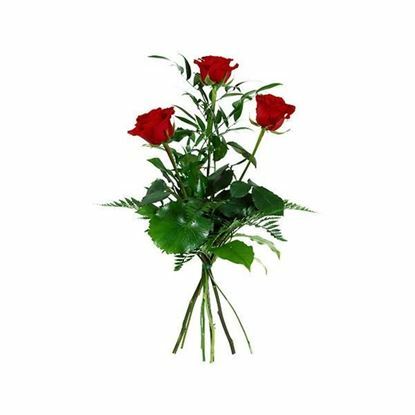 Premium long stemmed roses tastefully arranged with lush greenery. All colors available. Love is sometimes simple but it is always exquisitely beautiful. What could be simpler and more exquisite than arranging a roses delivery for a person who has a piece of your heart? Online rose delivery at the touch of a button will convey an unchanging love that does not wither away. 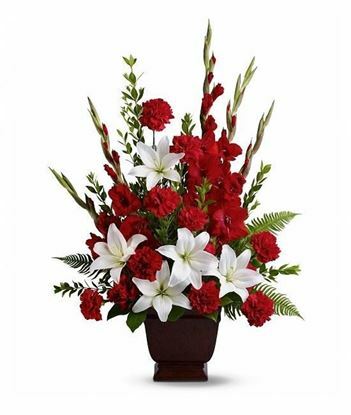 Premium velvet long stemmed red roses is lovingly and tastefully arranged with lush greenery.